Avocado (also known as Apokat in Indonesia) is one of popular fruits in Indonesia. You can find it easily in traditional market or supermarket with very cheap price. It’s very good either you make it for a juice or just eat it as a salad. Avocado fruits have a smooth, creamy, greenish-yellow flesh with an unusually high amount of fat that is primarily monounsaturated. They also contain a high concentration of dietary fibber, vitamins and potassium. This jus Apokat is an excellent choice to company your meal times. My hubby likes it a lot !! – 4 tablespoons palm sugar syrup (or you can just mix palm/sugar sugar with2 tablespoons of water), other option is using vanilla syrup. 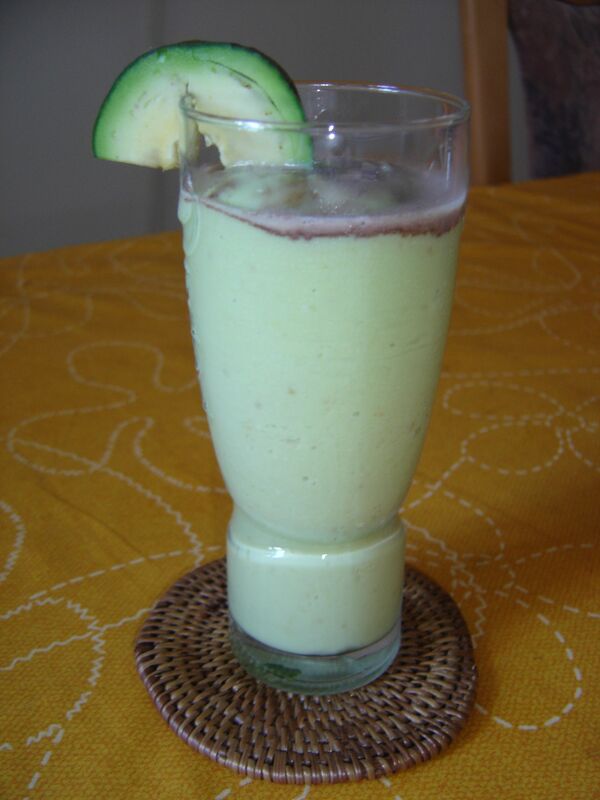 Combine avocado flesh with other ingredients and puree in blender until smooth. Note: If you like, you can add some chocolate (milk/powder) inside and mix it together and garnish with milk full cream.